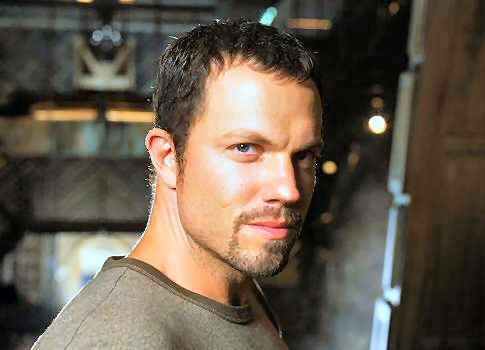 With our continuing series on Firefly starting a couple days ago, we figured it might be a good idea to give the Cool Actor of the Week nod this time to Jayne Cobb himself, Adam Baldwin. I’ve been watching Baldwin since the opening weekend of his first movie, My Bodyguard, way back in 1980. Seems at the time I remember reading an interview with director Tony Bill where he said Baldwin had no acting experience, but you’d never know that from his terrific performance as the feared — and tortured — Linderman. Here’s the trailer (bonus Cheese Magnet trivia: the movie was scripted by Alan Ormsby, co-writer and star of Bob Clark’s Children Shouldn’t Play with Dead Things (1973), and writer of the 1982 Cat People remake). I had just been trying to do Warren Oates from The Wild Bunch meets Eli Wallach from The Good The Bad And The Ugly. Guys like that. Those are guys I was trying to impersonate, mixed in with some Strother Martin. Those are great Western guys. I just always approached it as a Western, with that sensibility. …And later I saw Alien again, and it turns out I was just doing Yaphet Kotto. As we mentioned in our first post on Firefly, one of Baldwin’s great talents is very sneakily bringing much more depth to a role than the character might initially seem to have. His performance as Jayne delivers solid tough-guy chops but with subtle shadings that a lesser actor might not have explored. On top of that, Baldwin is a big Led Zeppelin fan, which makes him a-okay in my book.